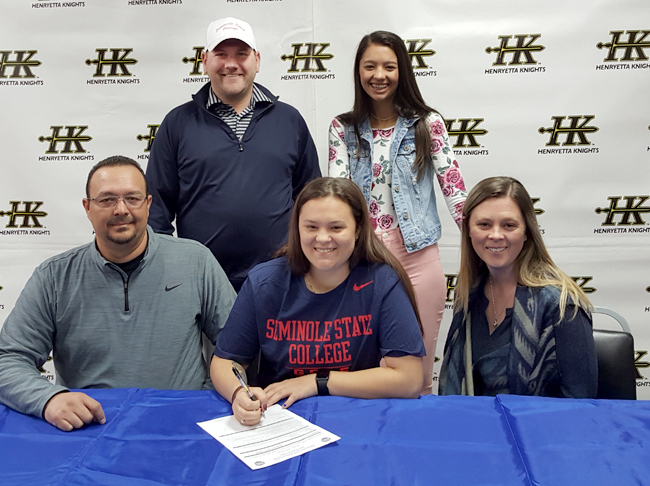 Seminole State College is going to have a new golfer wearing their colors next year. Abbi Green, daughter of Keith and Melanie Green, signed her letter of intent to attend the college and be a part of the team wehn school starts this fall. With her and her family is golf coach Rob Bennett.